Understanding the differences between in-plan and traditional Roth IRA accounts is increasingly important for advisors. Designated Roth accounts (DRAs) are separate accounts established inside 401(k), 403(b) and governmental 457(b) plans, as well as the Federal Thrift Savings Plan, that hold amounts designated as Roth funds within the plan. These accounts share a number of similarities with Roth IRAs, such as the fact that amounts contributed are included in a client’s income and future distributions can be tax-free if certain conditions are met. There are, however, many ways in which the two accounts differ. With plans featuring Roth components in growing numbers, understanding those differences will become increasingly important for advisors. Understanding the key differences can help advisors grow their book of business as well. While there are some ways plan Roth accounts can be superior to Roth IRAs, most of the time the differences favor Roth IRAs. By competently explaining the differences, knowledgeable advisors can help clients execute rollovers that will benefit both parties. It’s important to remember that DRAs are plan accounts, which means the plan rules apply to them. For instance, while clients are prohibited from taking a loan from their Roth IRA because it is a prohibited transaction, loans can be taken from designated Roth accounts, provided the plan allows them. Similarly, creditor protection may be stronger within a designated Roth account than would be the case if the same funds were in a Roth IRA. Or clients may be able to name anyone as their IRA beneficiary, whereas the beneficiary of a designated Roth account may have to be a spouse unless they obtain a proper spousal waiver and they update their beneficiary form to say otherwise. Plus, only the 10 percent penalty exceptions that apply to plan distributions would apply to amounts distributed from a designated Roth account. The exact rules will vary depending on the type of plan the designated Roth account is found within (i.e., 401(k), 403(b), etc. ), as well as the rules provided by the plan. Similar to Roth IRA conversions, in-plan Roth conversions allow certain plan participants to move money from the traditional side of their plan to the Roth side, where future growth and income can be tax-free, in exchange for paying the tax now. It’s generally not a phrase you’d hear associated with retirement planning, but it couldn’t be more appropriate here. Before your clients “buy” an in-plan Roth conversion they better make sure they know what they’re getting themselves into. Unlike Roth IRA conversions, there is no way to re-characterize, or undo, a conversion. It is an irrevocable decision. There is also no way to re-characterize a client’s DRA salary deferrals. These deferrals, however, can pale in size when compared to an in-plan Roth conversion that could total several hundred thousand — if not millions —of dollars. If the lack of a re-characterization option is too tough to stomach, here are some suggestions. See if your client is eligible to take a distribution from their plan. If they are, they can convert to a Roth IRA instead, keeping the option to “undo” in their back pocket. If they can’t take a distribution now, see how long it will be until they can. The ordering rules that non-qualified Roth IRA distributions follow are very favorable for clients. Earnings, which carry with them the greatest potential for taxation and penalty, are the last funds considered to be distributed from the account. Likewise, contributions, which are always tax-free, are considered to come out first. You really can’t ask for more than that. Designated Roth accounts, however, don’t work the same way. Instead of following ordering rules, non-qualified distributions from designated Roth accounts generally consist of a pro-rata portion of after-tax funds (i.e., DRA salary deferrals and in-plan Roth conversion amounts) and pre-tax funds (earnings). For some clients who need to tap into some of this money before reaching qualified distribution status this treatment is less favorable than that offered by Roth IRAs. Megan is 30 years old and has been working for ABC Manufacturers for the past five years. In each of those years, she has deferred $4,000 of her salary into her Roth 401(k); so to date, she has deferred a total of $20,000 into her plan. Recently, ABC Manufacturers went through a corporate downsizing, and unfortunately Megan lost her job. In order to pay her rent and other bills, Megan needs to withdraw $10,000 from her Roth 401(k), which is now worth $50,000 ($30,000 of earnings). When Megan takes a distribution, she will receive a pro-rata portion of her tax and penalty-free salary deferrals, along with a pro-rated share of her earnings, which will be both taxable and subject to the 10 percent penalty. Thus, Megan would receive $4,000 (($20,000 / $50,000) x $10,000 = $4,000) tax-free and would be responsible for tax and the 10 percent penalty on the remaining $6,000 ($10,000 – $4,000 = $6,000) of her distribution. Note that had Megan been making $4,000 per year, annual contributions to a Roth IRA instead of her Roth 401(k), her distribution would have followed the ordering rules and her entire $10,000 would have been considered a return of contributions which would be tax- and penalty-free. It sounds like a bunch of alphabet soup, but DRAs are subject to required minimum distributions (RMDs). Although Roth IRAs have no RMDs during the owner’s lifetime, designated Roth accounts are subject to RMDs. They follow the plan rules, so in general, Roth 401(k) and similar DRA accounts will be subject to RMDs once a client turns 70 ½. However, if a client is still working, is a 5 percent or less owner of their company and their plan allows them to delay RMDs, the still-working exception would apply to the designated Roth account as well as the traditional side of the plan. Also, if clients want to avoid RMDs with their DRA assets, they can roll them over to a Roth IRA in the year before they turn 70 ½ or earlier. If they do that, the entire amount can generally be rolled over to their Roth IRA and RMDs can be avoided for the remainder of the Roth IRA owner’s lifetime. If, however, a DRA owner waits until the year they are 70 ½ or later to execute this rollover, they must first take their RMD from the plan, before they are eligible to roll any amounts in excess of the RMD over to their Roth IRA. Note that the 5-year clock for qualified DRA distributions is not a common clock for all of the client’s DRA accounts (as is the case for the five-year clock for qualified Roth IRA distributions). Furthermore, the 5-year clock for qualified DRA distributions and the 5-year clock for qualified Roth IRA distributions are separate and do not impact one another. 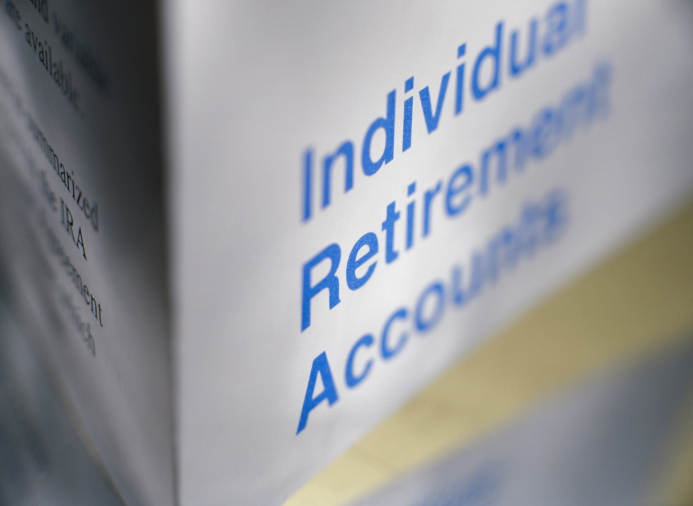 High income clients may be phased out of being eligible to contribute directly to a Roth IRA. If those same clients have access to a Roth 401(k) or similar DRA account, there is no restriction preventing them from deferring portions of their salary into those accounts. Jill is the CEO of a large company that offers a 401(k) plan with a Roth feature. Jill’s salary is $1 million. Clearly, Jill’s income prevents her from making a Roth IRA contribution, regardless of what her filing status is. Therefore she is prohibited from making any direct contributions to a Roth IRA. She can, however, defer any amount she wishes, up to the $18,000 maximum for 2015 ($24,000 if Jill is 50 or older by the end of the year) into her Roth 401(k). As you can see, all Roth accounts all not created equal. Sometimes, the plan Roth option will be the better option — or even the only option — for your client. More often than not though, clients using Roth accounts want to avoid RMDs and have the ability to re-characterize their conversions, both of which favor the use of a Roth IRA over plan Roth accounts.